Glorious Treats is dishing out all of the info on how to frost some pretty gorgeous cupcakes. 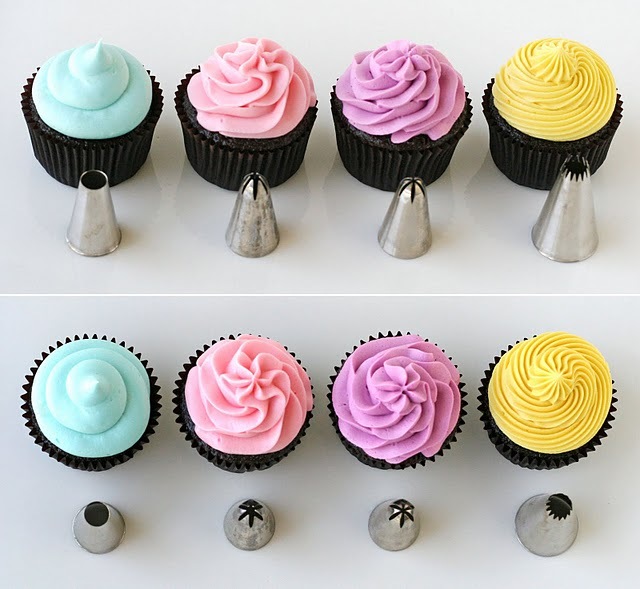 From what tips to use, where to buy them, and even a video tutorial on how to lay the icing on. You can get info and check out the video tutorial HERE. I love this! Now I'm in the mood to make cupcakes!! Hooray! Where has this been all my life? I have made some delicious, but seriously ugly, cupcakes.